After teasing a new album for months, Papa Roach has finally announced their ninth album along with announcing some killer preorder bundles. Check out all the details regarding Crooked Teeth below! It all started in October when Papa Roach posted two teaser videos to their social media. One featured the caption, “Something wicked this way comes,” and provided somewhat of a sample, however most of the sound is distorted by static. Their second video, posted a week later, went without a caption and without warning, and provided a much clearer picture at what the new Papa Roach album would sound like. 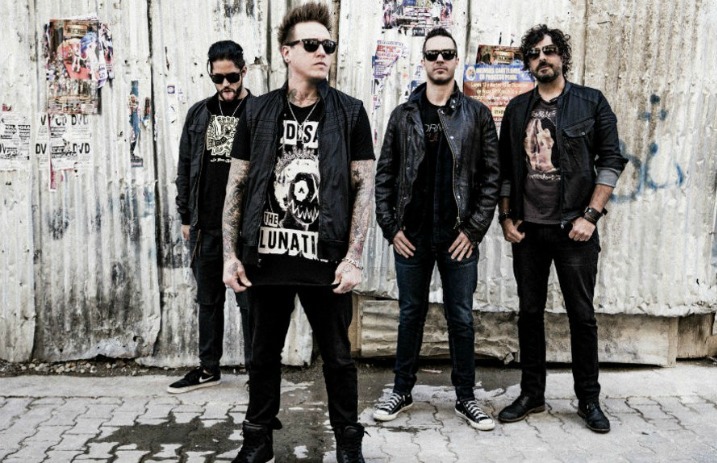 Less than a week later, the band posted the title track from their ninth album, “Crooked Teeth.” It was a hard-hitting track that had us drooling for more Papa Roach. But then Papa Roach went silent for a few months, but when they returned, they returned in a big way with the release of “Help.” Jacoby Shaddix's vocals really shined through this amazing track that we still have not stopped listening to. Shaddix later on went to confirm to Q103 in Albany, N.Y. that their long-awaited ninth album would be coming this May along with talking about how this new album would sound. Shaddix also revealed that Machine Gun Kelly and Skylar Grey would both be featured on Crooked Teeth. Now Crooked Teeth has officially been announced along with revealing the amazing track list and album art. It's hard to not want to preorder this album after hearing the previous two singles and after seeing the preorder bundles, you're definitely going to wanta drop some cash on this new album. Most bands feature vinyl bundles or possibly a t-shirt but Papa Roach goes above and beyond with bundles that include everything from test pressings, to the baby featured on Lovehatetragedy's album art and even a private acoustic show in your backyard. If you're interested in preordering the album, check out the numerous bundles here! Take a peek at the album art and track listing below.